Just because it’s made from fruit, doesn’t mean it’s the best choice. Orange juice is a breakfast staple, right? Well—it is on the way out. News reports and sales numbers indicate that orange juice sales are at a record low. What’s going on here? Are people turning to different types of juice? Coca-Cola, the owners of Tropicana, think so—they are moving toward the manufacture of different fruit juices. It appears that people just don’t want to make orange juice a part of their breakfast anymore. Declining sales might actually be healthy for the obesity epidemic. 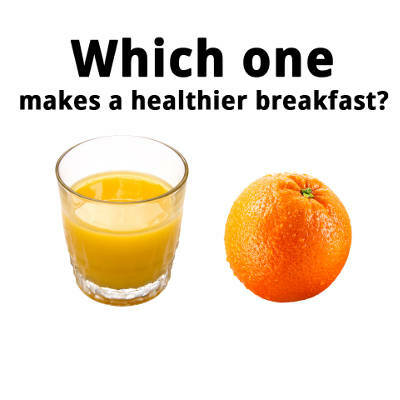 For decades, orange juice was touted as the ultimate health drink. Back in the 1920s, you couldn’t get your hands on fresh orange juice, most people just drank coffee with the breakfast. An article in The Atlantic discusses the history of orange juice, which seems to have been invented as a make believe health food. By the 1950s, it was a breakfast standard.